Cannabis growers are tasked with taking all sorts of precautions to ensure their crop makes it to harvest in good condition. One danger to the outdoor plant is birds, as they are known to steal seeds and ruin your grow operation before it ever really takes off. Here are some tips to handle this threat from above. No matter the level of experience, when it comes to growing marijuana, growers are faced with many challenges. Some of the worst include insects, bad weather conditions, soil issues, heat stress, and birds, among other threats. It's a real bummer to experience damaged or no crops at all after investing so much hard work, but it’s even worse knowing you could’ve done something about it. When it comes to birds, there's a really strange relationship shared with miss Mary Jane. At times, birds act as defenders, gobbling up the many pesky critters on your marijuana plants. On the other hand, they can wreak havoc on your future harvest by stealing your marijuana seeds. 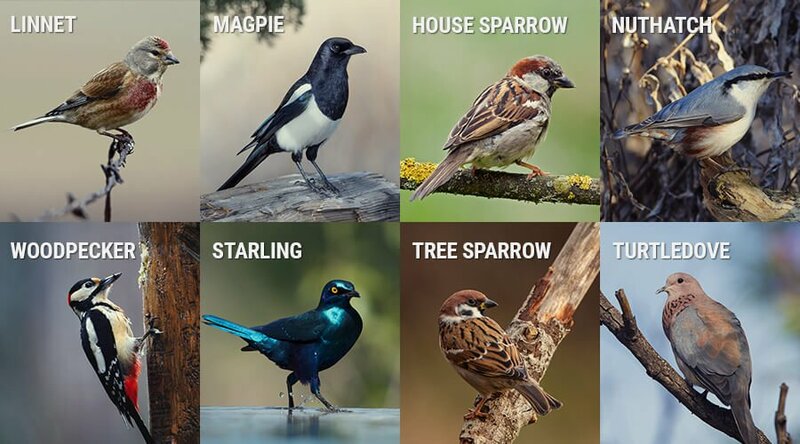 Here are a few things you should know about birds, and what you can do to stop them from harming your plants. Seed disappearance: This is usually a clear sign your seeds have been taken, but sometimes the cause is unknown. Aside from game birds, it's also quite possible that your seeds were accidentally eaten by other critters while searching for bugs. Catching birds red-handed: If you witness firsthand birds stealing seeds or eating from your plants, then you can be pretty sure that you have a bird issue. Bird faeces: This is probably the biggest symptom of them all. If there are places with multiple droppings, there is a good chance they have been in your crop regularly. Placing a scarecrow near your crop is an oldie but goodie for effective plant protection. Tactfully spreading reflective or shiny objects on tree branches across the grow site can be a big help in deterring birds. You can use tin cans, disposable pie pans, or even CDs. The more you place around your garden, the higher chance of survival your crops will have. Creating a barrier between your crop and birds may help. This could be a lightweight net or clear PVC cover that will not only keep birds away but other pests as well. Probably the safest way to protect your plants is using a bird feeder, as it can make for a good distraction when positioned correctly. Birds love eating rye, barley, or oat seeds, so you should fill it up and place it close to your garden to keep them from munching on your plants. Security of your grow site is always a priority. This includes keeping your grow-op discreet if you live in areas where cultivation is illegal or frowned upon. If you have the freedom and space to optimise your outdoor grow to be safe from critters of all kinds, count yourself lucky. For those dealing with guerrilla grows and the like, research and thinking on your feet are the name of the game.